Religious practices are an important part of the lives of the Nepalese people. Mythologies of various Hindu gods and goddesses abound in this country and cultural values are based on the philosophies of holy books like the Swasthani, Gita, Ramayana etc. Women and children visit neighborhood shrines at dawn to offer worship to the gods. Holding plates of rice, flowers, and vermilion powder, they perform puja by lighting incense, ringing the temple bell, and applying tika, a red paste, on their foreheads. Passers by stop at temples and show their reverence to the gods by spending a few minutes praying. Occasionally, groups of men sit near temples playing music and singing hymns until late night. Tibet is a land of great beauty and mystery. This place is quite fascinating for tourists, mountaineers and explorers. This beautiful land is popularly known as the roof of the world. Wearing a Tibetan outfit and riding on Tibetan Pony gives you the different experience. You see a highest peak in this beautiful land. We stay at nomad’s tent in the night. You can taste the sweet Tibetan barley beer and cup of tea with Yak’s butter flavor. Sitting around the burning fire, eating some mutton and melodious song in bask the romantic charm in the high plateau grasslands. Your mind will get excited when you see the holy mountains and the sacred lakes from the very close quarters. We can bet that this can be the unforgettable moment in your life. Bhutan is the land of the thunder dragon. Lying between China to the north and India to the south, the Druk Kingdom is a land of immense natural beauty with rich ancient culture and tradition. Bhutan is one of the few unexplored tourist destinations in the world. Often referred to as Shangri-La, Bhutan is a beautiful tourist destination. Buddhism is the national religion of Bhutan. Buddhism is believed to have been first introduced in Bhutan the 8th century B.C. The Bhutanese people love themselves to be called Drukpas. Dzongkha is the national language of Bhutan. 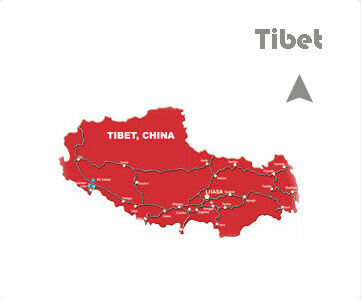 The Tibetan origin people dominate the northern, eastern and western part of Bhutan, while the Nepalese origin people dominate the southern part. 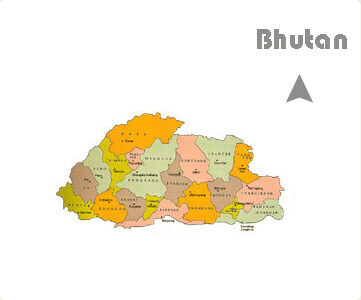 Bhutan was opened to the modern development in the 1960s after the years of self-imposed isolation with the building of the first schools, hospitals and roads. When Bhutan was closed to the outside world, the then Bhutanese government took these Nepali origin people to accelerate the development process. However, it is pity to say that more than 1, 00,000 Nepali origin Bhutanese people have been taking asylum in eastern districts of Nepal due to political crisis in Bhutan. Nestled between the Kingdoms of Bhutan and Nepal is a little known region called Sikkim. 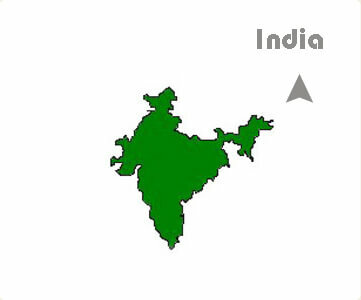 Now a province of India, Sikkim was an independent Kingdom until 1952 and is the overland gateway to Bhutan. Although the region has been populated by a huge range of Himalayan ethnicities Sikkim is still predominantly Buddhist. Famed for its amazing array of flora and fauna, our trips here offer all levels of trekker an intimate and beautiful mountain experience. Apart from seeing the 3rd highest mountain, Kanchenjunga up close you will meander through stands of Buddhist prayer flags, idyllic villages and lush forests full of colorful butterflies. Highlights: Panoramic views of Kanchenjunga, unspoilt Tibetan villages and culture, beautiful mountain vistas, giant butterflies fluttering through old growth forests. Due to the extreme altitude, there is an immense variation in climate and vegetation. With a rainfall of about 140 inches in Gangtok, the climate is tropical up to 5,000ft, temperate between 5,000ft–13,000ft, alpine at 13,000ft, and snowbound at 16,000ft and above.